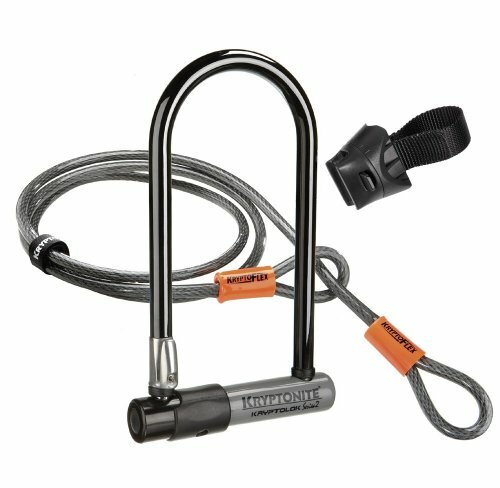 The next generation in standard bicycle security with a 00 USD anti-theft protection with a security rating of 8 of out 12 and includes a KryptoFlex Looped Cable 4′ long for complete protection.Kryptonite U-locks represent extreme security while maintaining a realistic size/weight. U-locks represent the most popular lock for enthusiasts.In the early 1970s, Michael Zane was a free-spirited, bearded kid with a VW van and a big idea for a new kind of lock. He traveled thousands of miles showing the unique U-shaped locking device and spreading his passion for bicycle security to bike dealers all around the country and forged lifetime relationships. The company soon expanded its product line to include powersports, hardware and snowsports security.